It was “pretty, pretty good” to be a magazine publisher, as Larry David would say. Recently, not so much, but overall, it’s an exciting industry to be a part of—especially if that magazine has to do with cars. The late Gianni Mazzocchi (1906 – 1984) was one such individual. An Italian magazine publisher, he would found Editoriale Domus in Milan in 1929. With a foresight that allowed him to see far beyond his times, Mazzocchi conceived and established magazines and journals covering a wide array of topics—home, travel, food, money, design, flying and automotive—with many of them still found on Italian newsstands today. One of the magazines still extant is Quattroruote, a monthly publication that the publisher started in 1956. It continues to offer news on the latest vehicles, road tests, and pricing information on pre-owned cars that have become a point of reference for the Italian used car market. Now, it even boasts its own test track and museum. 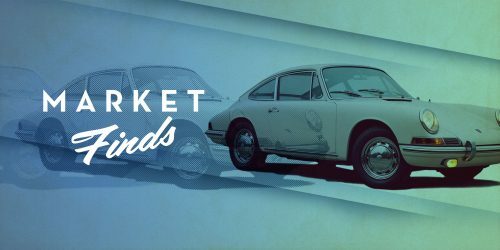 Perhaps dovetailing with the founding of the magazine, beginning in the mid 1950s, the car bug hit Mazzocchi hard, and the publisher started collecting some of the most historically significant cars of the era, as well as a few more eclectic ones. This body of this handsome open-top 1939 Bugatti Type 57 was constructed by the Gangloff coachbuilders for the company as a “special cabriolet.” Similar in specification to the more common Stelvio design, this particular model differs by offering distinct features such as a sharply-raked windshield, single side-mounted spare, and a unique rear deck. The car also incorporates desirable styling touches more common to the later Type 57s, including front “bumperettes” and low headlamps incorporated into the front fenders. 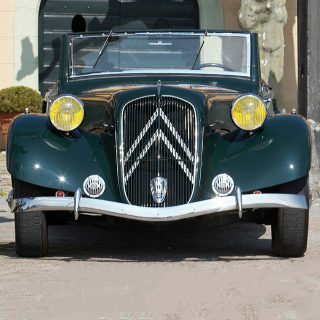 The example on offer also has the dual distinctions of being the 1939 Geneva Salon car, as well as the company demonstrator of Bugatti racing legend Jean-Pierre Wimille. After passing through several other owners, it was sold into the Quattroruote collection in 1964, for a remarkable and almost unmatched period of over 50 years in single ownership. Resplendent in the attractive combination of cream over black, the older restoration of this example is stated to have held up well. Prudently conserved and maintained by the collection, this sophisticated and attractive machine is perhaps the archetypal pre-war Bugatti road car—a practical sports car incorporating speed, style, and grace. 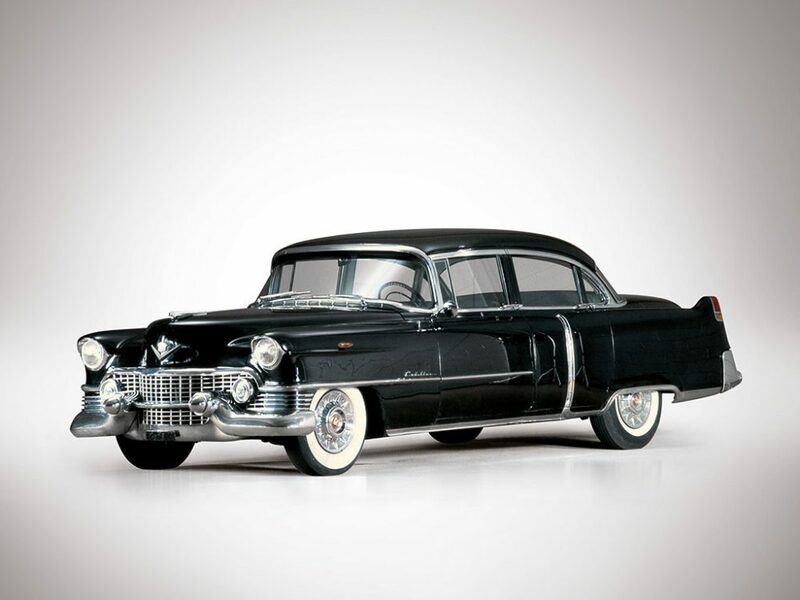 The 1954 model year was a momentous one for Cadillac, starting with a complete redesign of its Series 62 model. Lower to the ground, and sleeker, it featured exhaust tips that exited through upswept bumper extensions, and a panoramic wraparound windshield augmenting the car’s handsome flowing looks. With so many changes, only subtle refinements were necessary for 1955. This very original export model 1955 Series 62 Sedan is rarely seen outside of its home market, and was purchased new by the Quattroruote publishers Editoriale Domus. It was used by the company through 1964, at which point it was was placed on display at the Quattroruote museum. Believed to retain all its factory finishes, for those desiring a time warp car there is perhaps none finer. 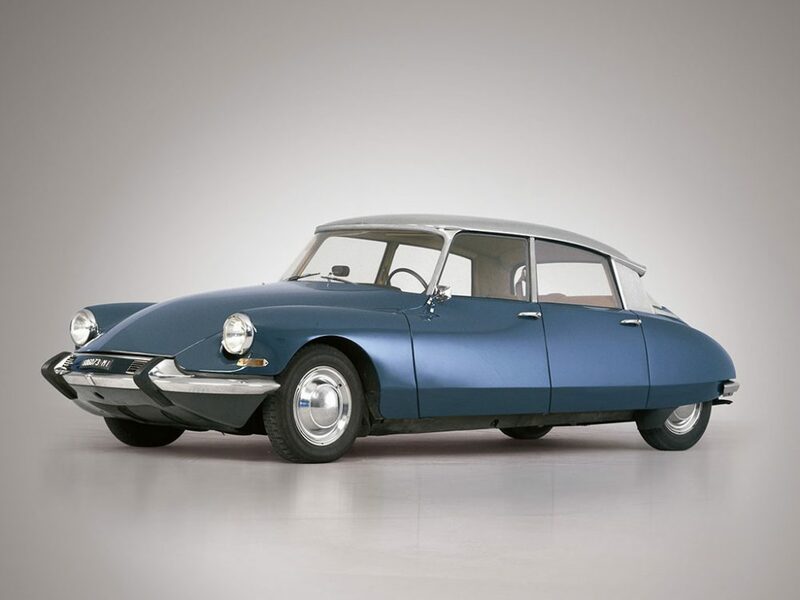 Over sixty-years since it debuted to a wondrous audience at the Paris Auto Show, the DS—pronounced DAY-ess—a pun on the French word déesse meaning “goddess”—is as advanced today as when it was originally manufactured. It set new standards in aerodynamics as well as featuring innovative technology. For the time, its ride quality, handling, and braking were unsurpassed. This DS 19 was acquired from its first owner about twenty-five years ago by the Collection, and the auction house states It is cosmetically well-preserved for its age, including what is believed to be the original paint finishes, interior, and glass, as well might be expected for a car that spent the past quarter-century in a museum. In a collection that is dedicated to the preservation of original examples of important models, few are more important than the DS 19. It is a car of which an example belongs in every collection that determines to present a complete history of the automobile. Purchased new by Editoriale Domus, this 1962 Fiat 1101A Campagnola has remained in the Collection since new. An Italian “spin” on a Jeep, it was meant to compete against both those models as well as Land Rovers and Land Cruisers (of which it bears a shrunken but passing resemblance). 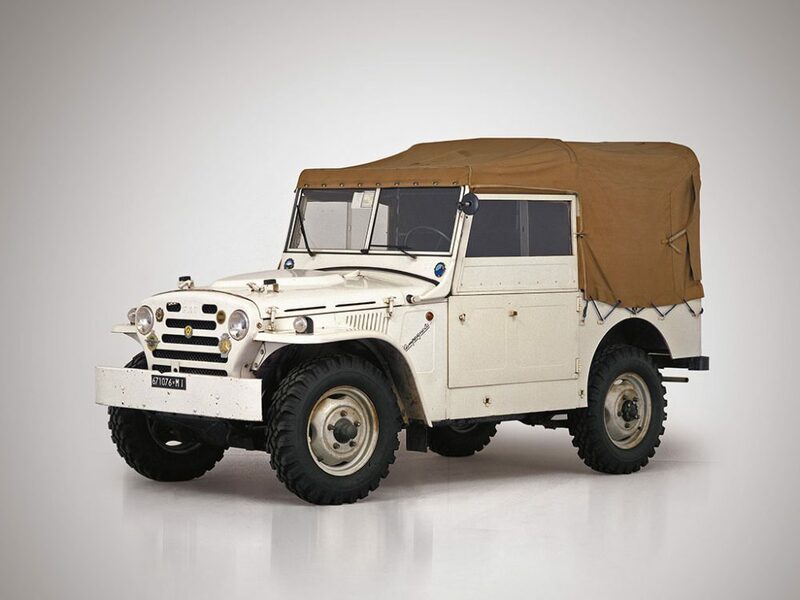 Over the years this heavy-duty off road vehicle built up a loyal following amongst members of the military, as well as the Italian Carabinieri and Polizia forces. 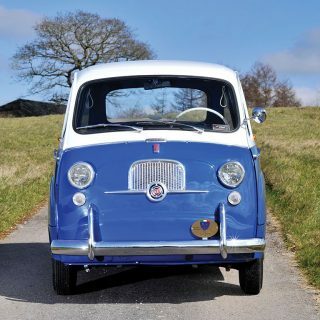 Production of this first series started in 1951 and ended in 1973, with about forty-thousand units produced. Today, few survive. With less than eleven-thousand kilometers on the clock, this one-family owned “Italian Jeep” is reported to be in highly original, but gently patinated condition. 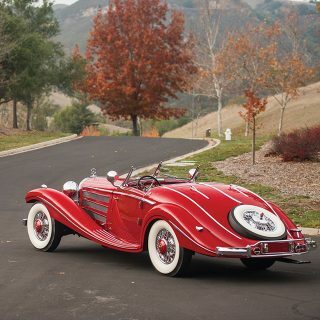 RM Sotheby’s says it might be a “Welcome addition to any seaside villa or vineyard carriage house”. The Lancia Lambda is often referred to as being the first true modern automobile, and perhaps the most important car produced by the company. 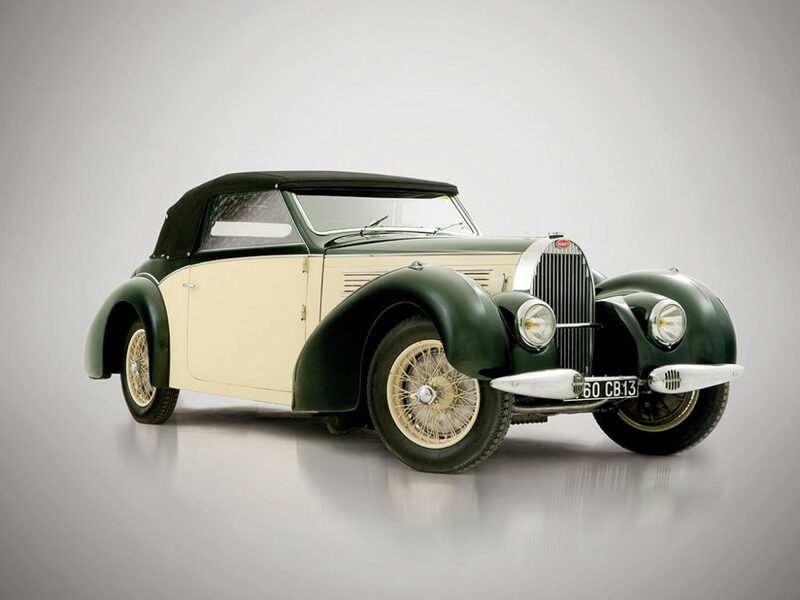 Produced from 1922 through 1931, and the brainchild of Italian automotive pioneer Vincenzo Lancia, this groundbreaking Pre-War car was the first to feature a unitary body, independent suspension, and both front- and back-wheel braking. 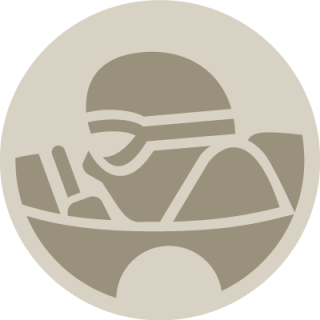 Its motorsports achievements include a 1-2-3 overall victory in the first running of Italy’s legendary 1000-mile Mille Miglia road race in 1927. 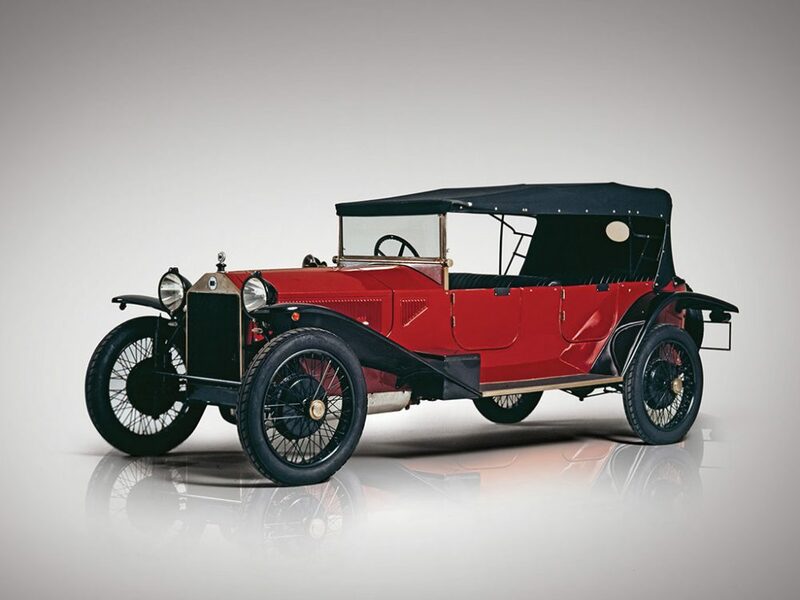 The Quattroruote collection Lambda is number 10081, making it the one of the earliest cars produced from the 1st series, of which approximately 400 were manufactured. Restored over five-decades ago before it was purchased from the collection of noted car collector John Cuthill Sword, this Lambda is said to be still cosmetically presentable. A wonderful opportunity to acquire one of the earliest examples of one of the most outstanding innovative designs of all time. All of the vehicles here will be offered without reserve by RM Sotheby’s in early May. 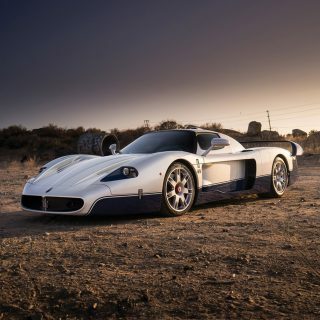 Market Finds Would You Park Maserati’s Modern Supercar In Your Garage? 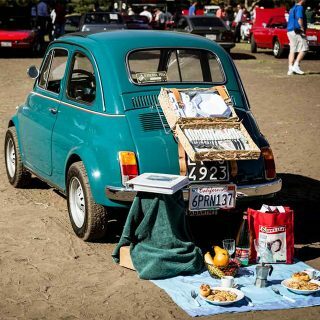 Market Finds Would You Ever Add A Fiat 600 Multipla Microcar To Your Garage? I don’t see the problem. If there was a question to the “originality” I erred on the side of caution and used modifiers in my description…just like the auction house. But perhaps an article about the subtleties of language might be in order one day. Your title is contains “original classics”, none of these cars are “original”. Most have been restored. It is a simple vocabulary mistake, if you do the research behind “original” and “authentic” pertaining to the automotive industry, you will see the difference. If you expect to write accurately for an automotive site, I would think you would know the vocabulary that pertains to the automotive industry. Also note- Auction catalogs are written quickly with very little knowledge on the car, and can’t necessarily be trusted. Without being at the auction, I only have the catalogue to go off as well as access to their pr department. That being said I think overall the majority of these cars are fairly original, some perhaps impressively so. Perhaps as an example the Lambda could be described better as “authentic” as you suggest. But I never said it was original. In fact I reference it’s prior restoration. I thought the Fiat Campagnolo was pretty interesting myself. Anyway, all offered at NO RESERVE…so who knows, GS, you could be the lucky winner. And Re: your first point. An auction is a great venue to find a selection of cars. It would be rude not to mention the venue. It is a collection after all.